“I see the Supply Post as a natural fit for this event. Their distribution numbers are impressive and the staff is always enthusiastic and helpful. Jeff is always promoting the event and his support and customer interaction is invaluable,” says Executive Show Manager, Mark Cusack. This event has a grand history in the lower mainland. Originally, the event was held at Stokes Pit in Langley. The Stokes Pit property eventually came up for development and the event shifted to a static display at TRADEX, with a shuttle service to the DEMO ZONE for contractors who wanted to try out new machines. 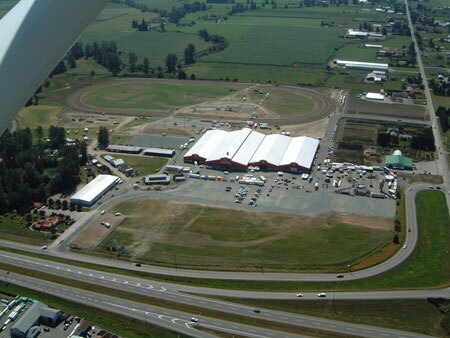 For 2011, the event moves to its new location – Heritage Park in Chilliwack – the red barn at Lickman Road @ Hwy #1. The venue is the best of both worlds. It will feature static space inside on concrete and on dirt, outside space on concrete, and a live DEMO AREA outside. The whole show on one property, just like the old days. “With twenty-one new highway projects worth $42 million underway in B.C. this construction season, this show could not have happened at a better time, says Cusack. “It is estimated these new projects will create more than 270 direct jobs. New equipment will be needed and buyers will source out their equipment purchases at this event. We are excited about Chilliwack Heritage Park hosting the event,” says Cusack. Exhibitors will also be happy to know that the event advertising program for the event is well underway, ensuring its success. In addition, those exhibitors who choose to promote their displays and products in the show guide can rest assured that it will be direct mailed throughout the lower mainland, Vancouver island and south Okanagan, through the Supply Post. In addition over 2000 extra copies will be available on-site.